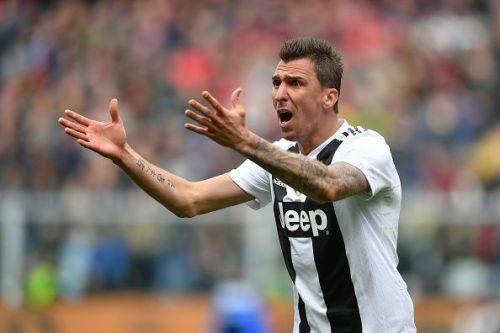 Juventus have suffered their first defeat in Serie A this season as Genoa dashed the club's hopes of finishing unbeaten all season. The Italian giants are set to lift the trophy this season as they are 18 points above Napoli, who sit second in the table rankings. Genoa are a mid-table team and have not won since exactly a month ago. Meanwhile, the Old Lady overcame Atletico Madrid in a thrilling second-leg tie of the UEFA Champions League round of 16. Perhaps after the intense match, Allegri decided to rest many of his key stars such as the likes of Blaise Matuidi, Cristiano Ronaldo, and Wojciech Szczesny. In the first half, the home team were almost awarded a penalty following an alleged handball from Joao Cancelo. After reviewing the Video Assistant Referee, the referee decided against his initial decision for a penalty and that left Genoa fans extremely frustrated. The visitors were struggling to cope with their opponent's constant attacking threats throughout the match. Juventus scored a goal only for their efforts to be ruled offside by the VAR. At last, the deadlock was broken in the 72nd minute by Stefano Sturaro. The midfielder put the ball in goal against his former club and shocked Juventus' fans. Just as the visitors were hoping for a miraculous comeback, veteran footballer, Goran Pandev, scored an excellent goal to double the lead for his side. The goals came too late for Juventus to do anything to salvage the situation. The players and their manager could only watch as they fall to a defeat away from home. Allegri would be frustrated that his side has failed to perform without star players. As for fans, they see the absence of Ronaldo as the main reason why Juventus lost the match. Following the match, teams across Europe stop their action as players head for their respective international duties. Here was how fans reacted to Juventus' first loss. Juventus really thought they could go the league season unbeaten. No Calciopoli, no party. Juventus need to invest in the future centrebacks of the club now while Chiellini is still around to teach them. Bonucci can’t. Has to be Chiello.